Celtic Crossing — Quilt Photography Co.
We're excited to share our first Brand Ambassador quilt! Brittany designed and pieced this sweet baby quilt, Celtic Crossing, as a play on the negative space of a traditional Irish Chain quilt. 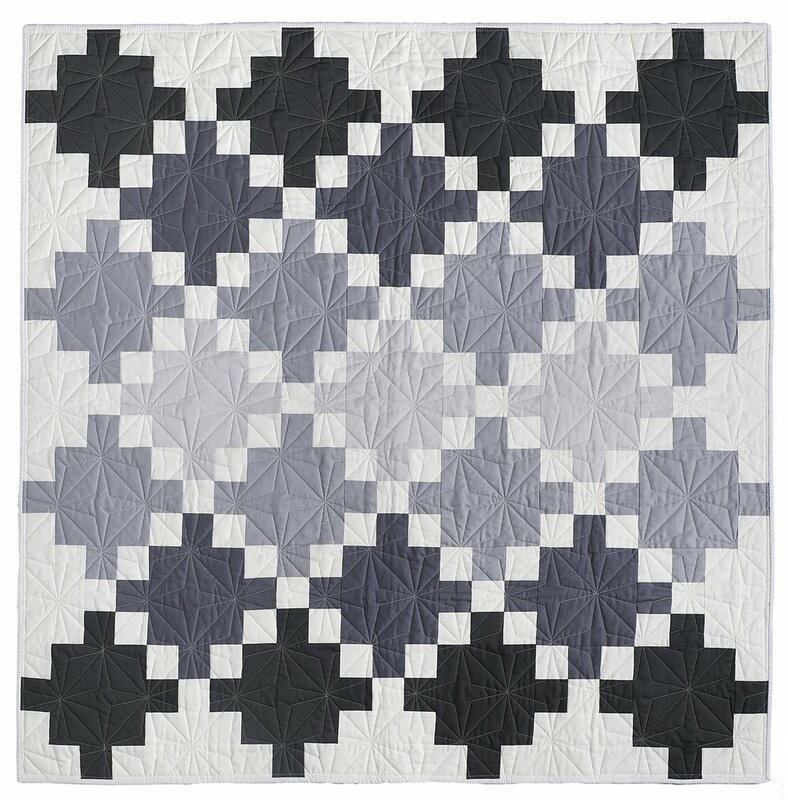 For this version, she used gray solids, paired with a striking geometric quilting pattern. "I started with Kona Charcoal on the outer edges, then Kona Steel, Kona Iron and Kona Quicksilver. My background was Kona Snow (as always!). I'm typically not the biggest ombre fan, but I HAD to do it with this quilt and I loved how it turned out!" This quilt is all about line and form, and beautifully combines soft and strong. Brittany sent this quilt off to Knot and Thread Design for edge-to-edge quilting, and used a whimsical hedgehog print for the backing. You can find this pattern for sale in her shop here.